Product information "Ancient Madder Silk Bespoke Tie - Navy II"
Real ancient Madder silk is produced by only a handful printers in the world. The process is complicated and time-consuming, but unsurpassed: no other dying method produces these rich, vibrant colors, clear contrasts and unmistakable Madder color palette in deep blue, warm orange and red. 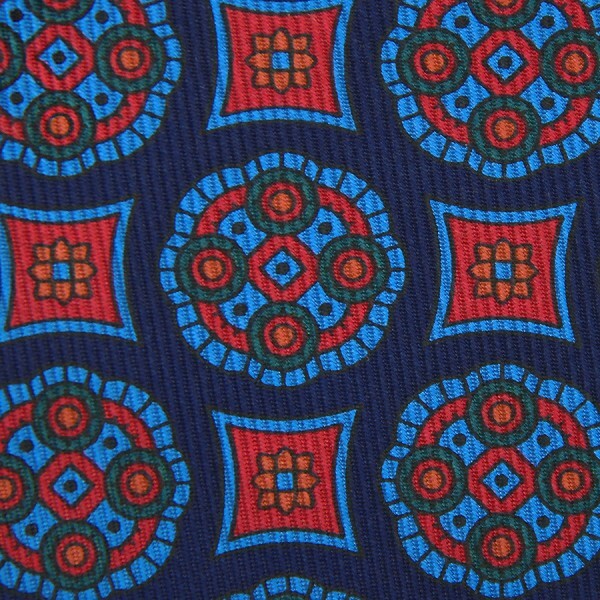 Related links to "Ancient Madder Silk Bespoke Tie - Navy II"